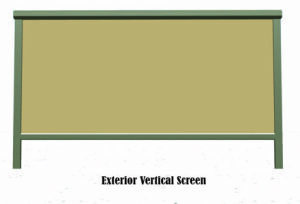 Awning styles today encompass many designs, styles, fabrics, colors, features and options. Cain Awning can provide you with ideas and budgets for the awning that fits your home / business and your needs. Whatever your taste, home architecture, favorite colors or pattern preferences, Cain Awning can put together the right combination of awning styles to fit your needs. 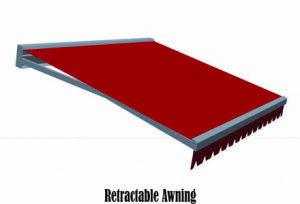 The following items cover the details and characteristics of some of the most popular awning styles. 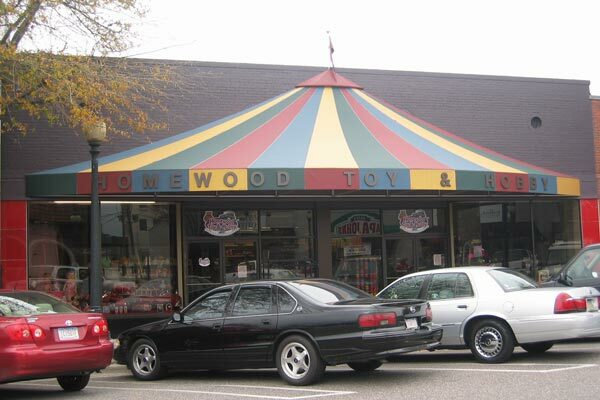 If you don’t see the particular style of awning or canopy that you are looking for, please give us a call. We take great pride in our creative skills. Our special projects bring out the best in our creative and design abilities. 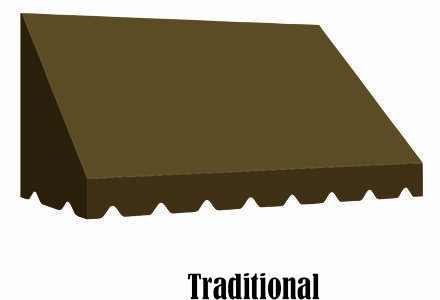 Traditional – This style of awning is a very popular choice for everything from windows, doors, decks and patios. Traditional shape awnings can be narrow and have a short projection distance (the amount that the awning comes out or “projects” from your home) for window installations. Traditional awnings also can be configured with a much longer projection distance to extend out and over a deck or patio. 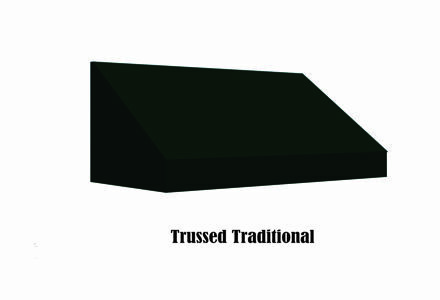 Trussed Traditional – This particular style of awning is the same as a traditional shaped awning frame, with a double front bar, which forms a rigid valance. They are used for not only protection from the elements, but also give a business the opportunity to have it’s name and products visually represented, while also adding dimension to the store front. 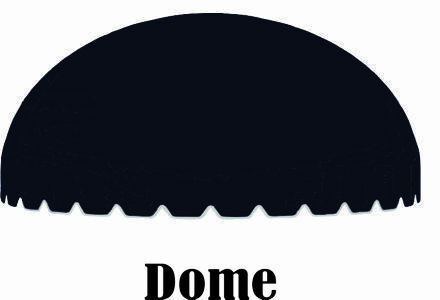 Dome – A dome-shaped awning is typically found over small entryways and windows and can be used in archways. Whether you want to update an older building or home with architectural accents or harmonize new awnings with your existing architecture, domes can be an excellent choice for your home or business. 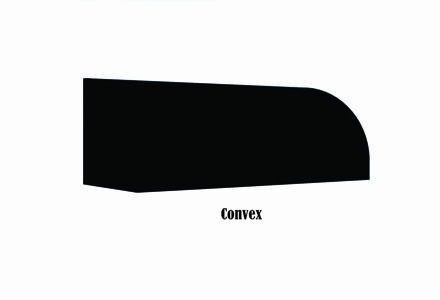 The quarter-sphere shape provides similar protection from the sun and rain from all angles. 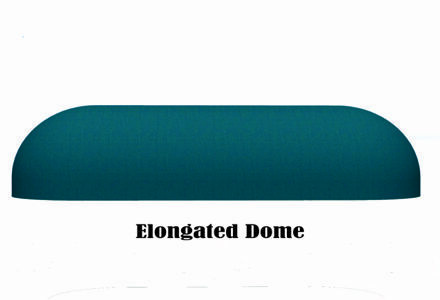 Elongated Dome – This style of awning carries many of same characteristics of a dome shaped awning. Elongated Domes work best for long awnings or entryways and can be installed on a flat surface or also have the ability to curve around a corner entry or window. 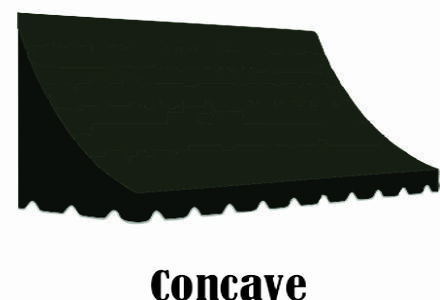 Concave – A concave style awning is most typically used over a window or door. The concave design is characterized by the inward curvature of the front panel. The side panels can be covered with fabric for a completely shaded enclosure, or left open, leaving the front panel supported by decorative poles. 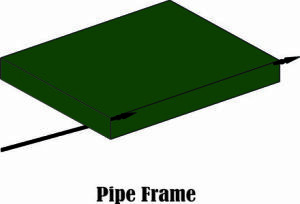 Pipe Frame – A pipe frame awning can have the same shape as a welded frame, but the materials used to fabricate them are 3/4″ or 1″ Schedule 40 pipe and joined with a variety of fittings. Pipe frame awnings can result in a loose fit, similar to the way awnings were fabricated at the turn of the century. 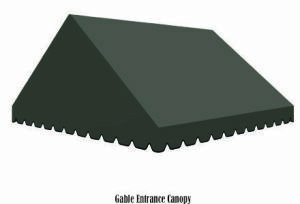 Entrance Canopies – Gable and Oval entrance canopies are a roof like structure with a fabric or vinyl covering. One major value of canopies is providing protection from the rain, wind and snow. 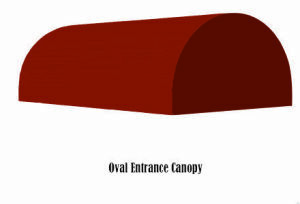 The canopy creates an elegant distinguishing entrance for curb appeal. Patio / Deck Canopies – Canopies, unlike an awning, is supported by not less than one support post at the outer end, as well as, the building to which it is attached. 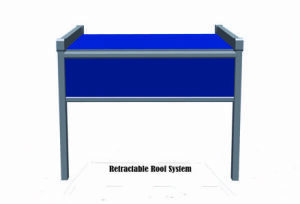 Like an awning it is made of fabric and can provide the same benefits and aesthetics of an awning.